Air Source heat pumps don’t actually generate heat; they simply act as a device to move heat from one place to another. 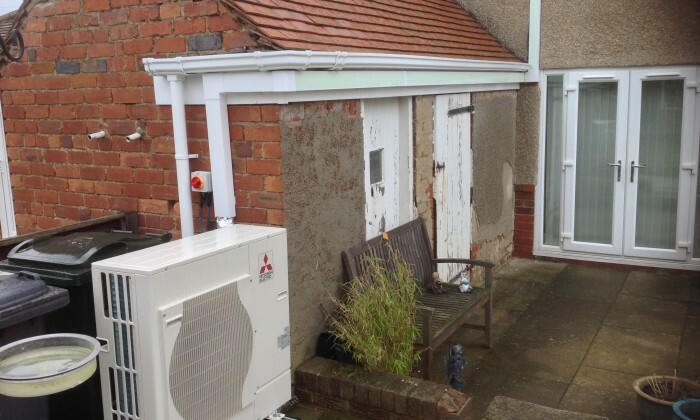 By passing air over an external heat exchanger, the heat pump collects ‘low grade’ heat from air and passes it through a heat exchanger in the heat pump. This ‘low grade’ heat is transferred to the refrigerant in the heat pump which is then compressed by the compressor; this has the effect of raising the temperature of the refrigerant creating ‘high grade’ heat. By passing this through a further heat exchanger, ‘high grade’ heat can then be distributed around the house to provide central heating and hot water just as a normal central heating system works. Though it may seem long winded, this process is actually very efficient. For every unit of electricity that the heat pump uses over the course of the year, a good air source heat pump installation can deliver more than 3 units of heat – that’s an efficiency of over 300%, at least three times better than direct electric heating! Air source heat pumps or air to water heat pumps can be used with under floor heating or on a low temperature radiator system and they are better suited to operate efficiently in a well-insulated building. Most projects require just a single air source heat pump to provide all the heating and hot water necessary for the entire year. For heating and hot water on large projects multiple air source heat pumps can be cascaded together to cover the complete annual demand. If you are thinking about installing an ASHP, there are a few things you need to consider first. If you’re replacing oil, LPG or direct electric heating, you can expect to achieve savings of up to 50% on your total energy expenditure as in our example in case study 1 and you’ll also be eligible for the Renewable Heat Incentive (RHI). Just a note on our experience with heat pumps, we have been installing them for a long time at Matrix, and we’re now a Mitsubishi Electric ‘Accredited Ecodan Installer’ (AEI). Attaining this accreditation meant undertaking Mitsubishi Electric’s highest level training package which is something they only offer to installers they can be sure will deliver quality installations. What this means is that we can design, install, commission and maintain these market leading air source heat pumps in the UK. 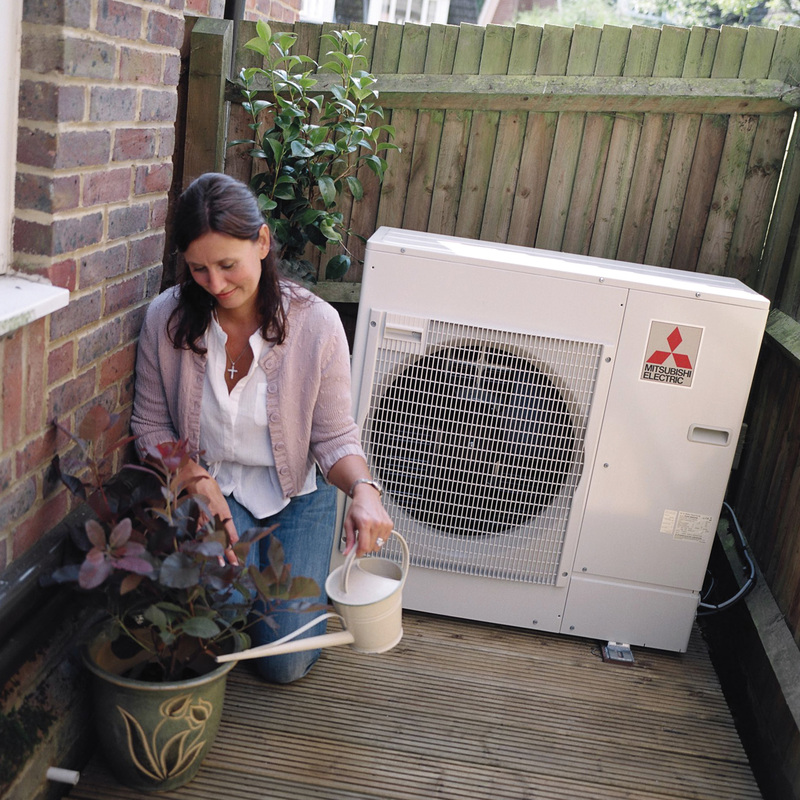 So far, we have specified and installed over 150 individual Mitsubishi Electric air source heat pumps in the UK and we were ranked the 3rd highest volume ‘121’ Mitsubishi installer in the first half of 2013. We’re proud to deliver a robust solution to our customers using Mitsubishi Electric technology and will continue to do so year on year.